This was a good song and MV, but it isn’t my favourite out of the 3 MV’s I have watched now. On a more serious note, I think this song is about how iKON has arrived and how they plan on making a whole lot of noise! Looking at the lyrics (which you can see here) I got the idea that this song is about how they want everyone to dance and feel good etc. I felt that it was a little overbearing, by this I mean, the way sometimes there were several different scenes in quick succession. But for the most part I enjoyed the individual scenes and the sets. My favourite part was probably the suit scene (that was so good!). I love suits and they way they were all styled and the dancing was great~ I also really enjoyed the outside basketball scenes, especially near the end in the rain. They looked like they were having fun and the colour scheme was visually appealing. The styling…. for the most part I was on board, but sometimes the hip hop style is to my own taste and sometimes YG can make some interesting decisions… For example, Hanbin’s hair and the lip ring thing… nope. And some of the sporty casual ensembles were interesting, again, such as Hanbin’s (I feel like I’m picking on him, but I’m not! I love his cute little smile so much ^^). 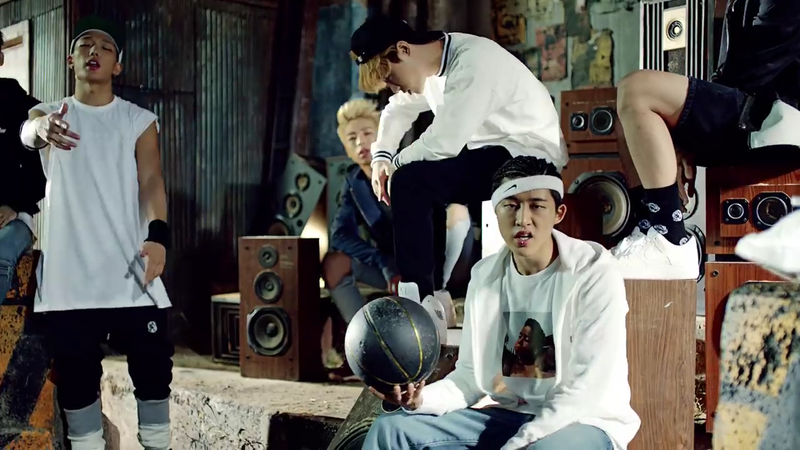 The standouts for me in this song were JinHwan, JunHoe and YunHyeong. JinHwan’s vocals are great, JunHoe has this husky man voice that really fit with the style of this song and I enjoyed YunHyeong’s vocals in general. That isn’t to say I didn’t enjoy the others. 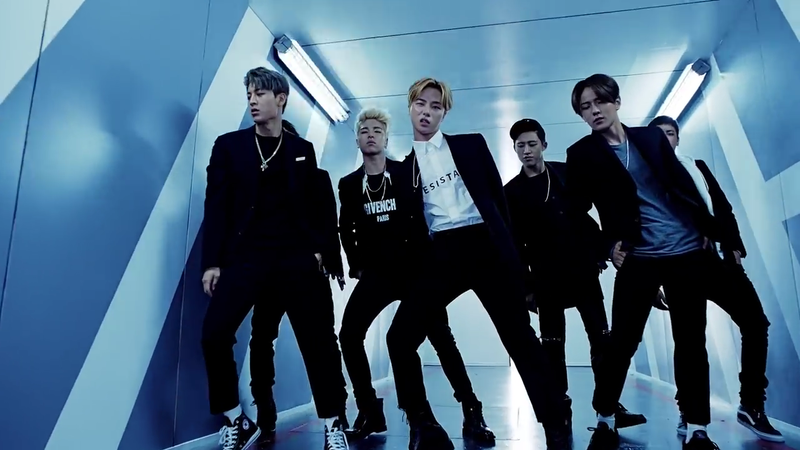 Bobby was great, this is definitely more suited to his style and HanBin was good too. But the others… I didn’t really get a feel for them as this song was heavily, more so than normal in my opinion, HanBin (especially) and Bobby oriented. For me, the beat was great and I could happily listen to it and just dance. But I felt that the song was a little lacking. It could have been more epic in my opinion, plus I felt bad for how little line time some of the members got. 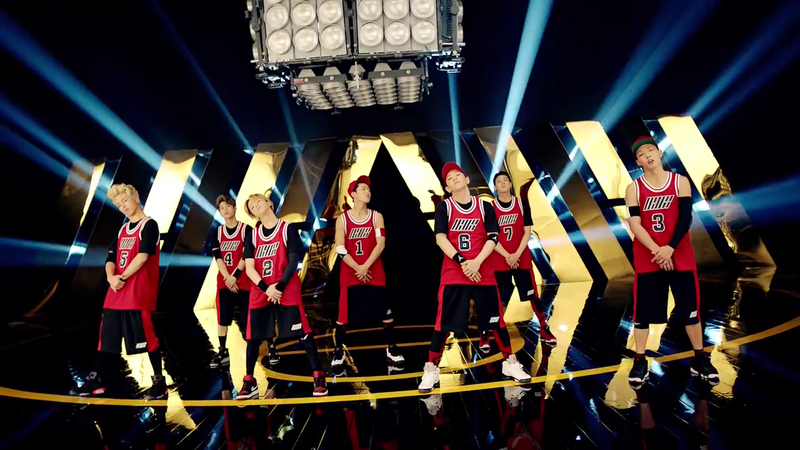 Shoulder shuffles, hip thrusts and general cool swag moves filled this mv. It was nice to see them dance with more of a structure, but I did want more. I get that YG artists tend not to have intricate dance routines throughout a song, but I really wanted the dance parts to have more impact. Although, a huge shout out to JinHwan who was definitely feeling it, even when he wasn’t the focus, my eyes went to him because 1. he put in a lot of effort on those hip thrusts and 2. he’s really handsome (I think we have a bias here… haha ♥). 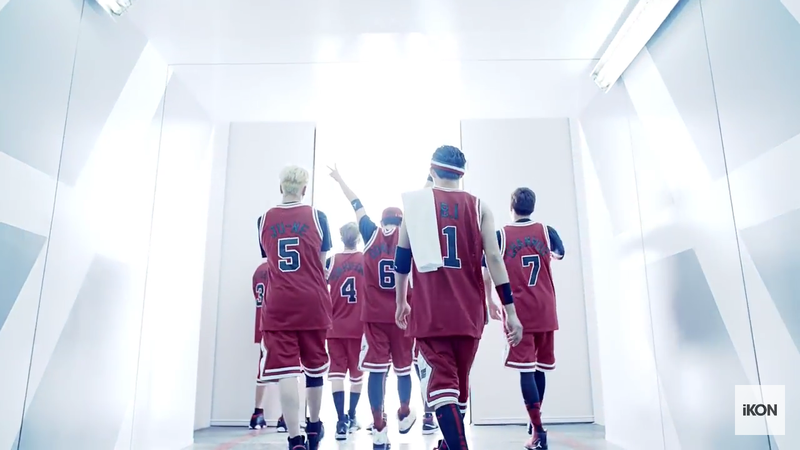 Understandable Storyline: 4.5/5☆ (I mean the mv’s purpose was pretty self-explanatory in my opinion).